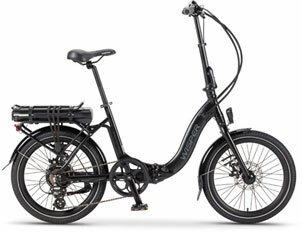 Wisper’s range of SE ebikes use many of the same high-end components, found in the Wisper Torque bikes. However, the SE range has been designed to be simple, lightweight and even more affordable. The bikes in the SE range utilise a market leading cadence sensor that provides responsive application of power on hills through the use of 12 magnets (compared to the industry standard of 6). Cadence sensors switch the power on when pedals are turned forward and off when pedaling stops. As with the Torque range, the SE comes with 5 levels of power assistance enabling riders to increase or decrease assistance, depending on the incline of the road or weight of the load on the bike. All Wisper bikes are fitted with a twist throttle that is limited to 4mph walk assist mode whilst the bike is not being pedaled. However, as soon as you start to turn the pedals forward the throttle becomes active, by twisting the throttle you can achieve up to 15.5mph without the need to increase your pedaling effort. The throttle is particularly useful on hills when you need immediate assistance to get moving. The Wisper high efficiency 250w high torque brushless motor is smooth, quiet and works in harmony with the cadence sensor to deliver a responsive, natural riding experience. 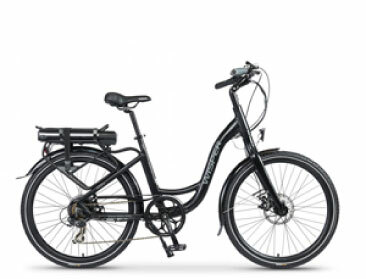 Based on the Wisper 705 Torque model, the SE is well styled and features a very adaptable unisex design – that provides a great all around riding experience and represents excellent value for money. 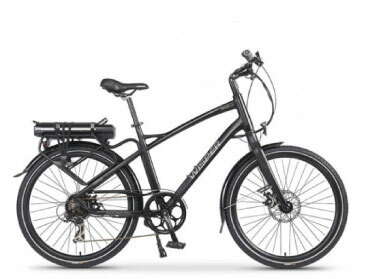 The Step-through is Wisper’s go to bike for most riders and the perfect choice for shopping, commuting or long country rides.